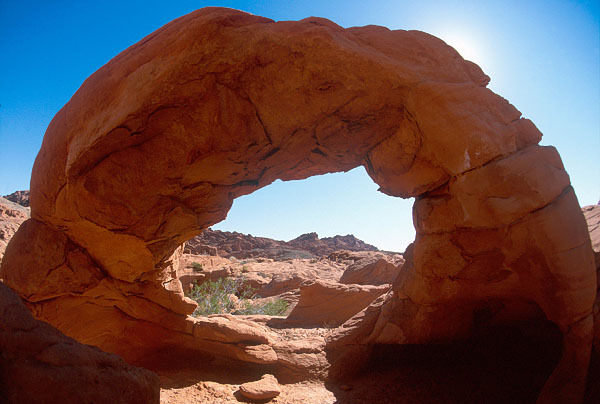 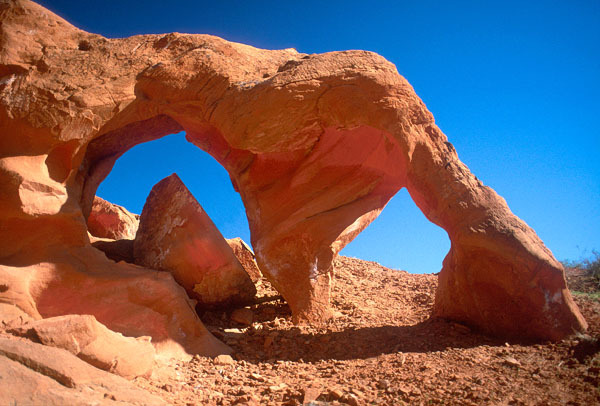 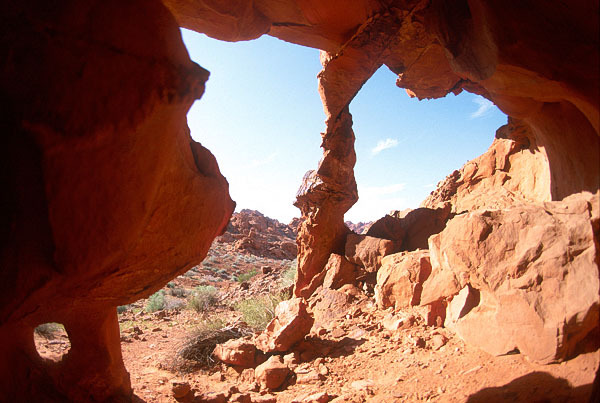 Valley of Fire State Park, Nevada, a short one hour drive from Las Vegas, is loaded with arches ... at least small ones. 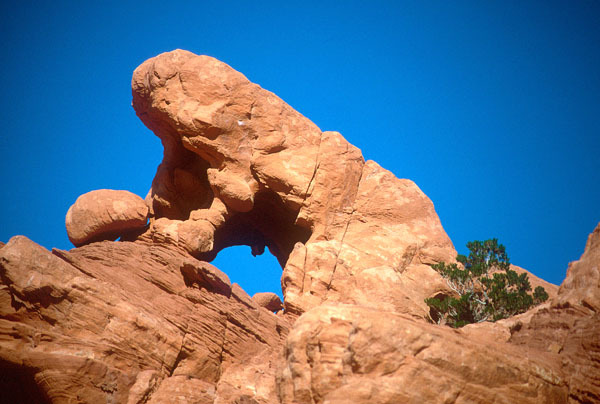 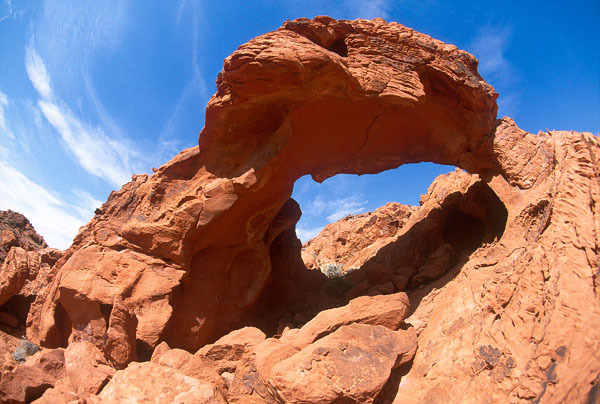 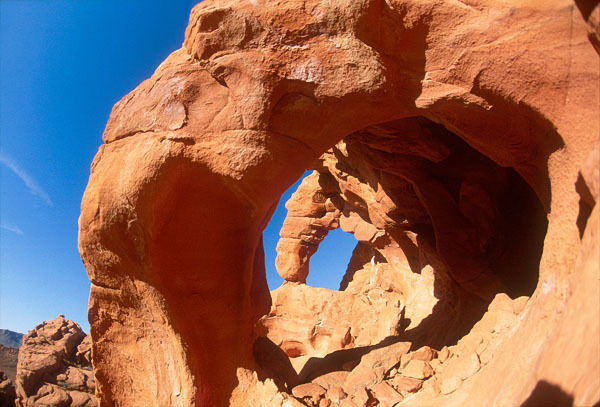 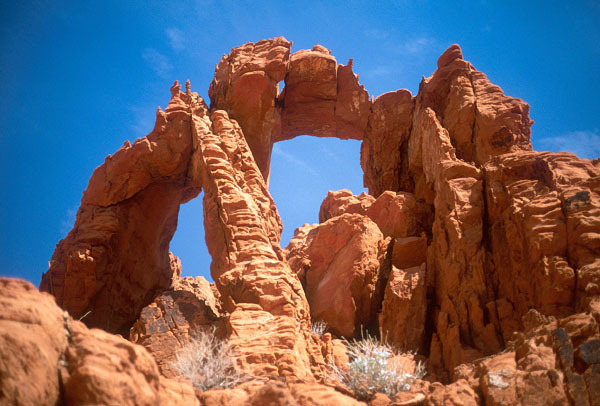 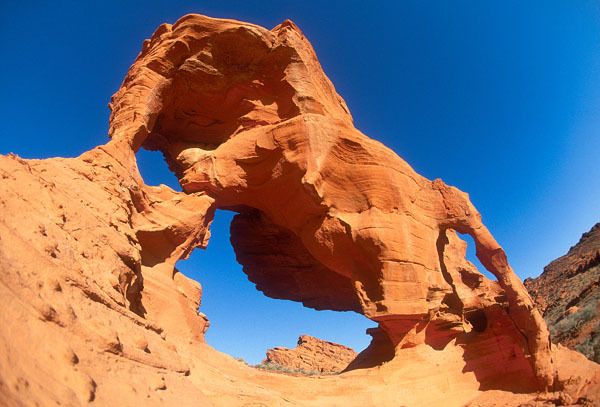 The park boasts outcrops of brilliantly hued Entrada sandstone that are riddled with holes, making the landscape appear like a mountain of Swiss cheese, melting in a Salvador Dali painting. 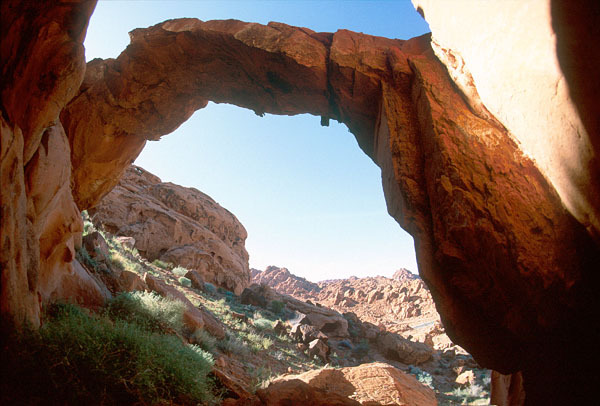 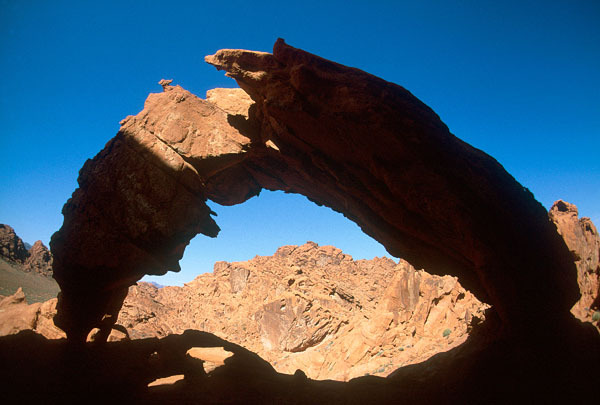 Chris Moore has published two booklets (which unfortunately are out of print) cataloging 444 arches in Valley of Fire that have a light opening of five feet or more. 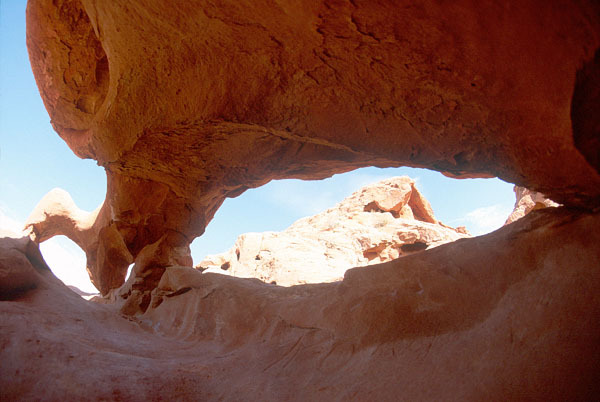 Below is a small sample (eleven photos).